For the most part all the sections that should be Rhinox Hide, Rakarth Flesh or Chocolate Brown are now all base coated, but again thanks to assembly a lot of touch ups will be needed. I also decided to add a little extra touch to the Blitzers, they have red shoes. Because, da red wunz go fasta! 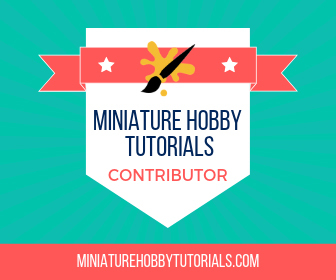 Mainly this post, I want to talk about the Black Orc Blockers, which were painted a different skin tone than the rest of the team. From what I could gather in Warhammer lore, the Black Orcs have a darker green skin tone than regular orcs. With that in mind I thought about painting them brown skinned, but then I remembered all the other brown on the team and it would look horrible. 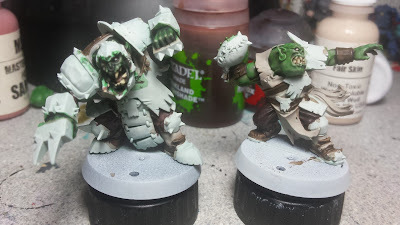 For their skin tone I did start with a base coat of Rhionix Hide though. 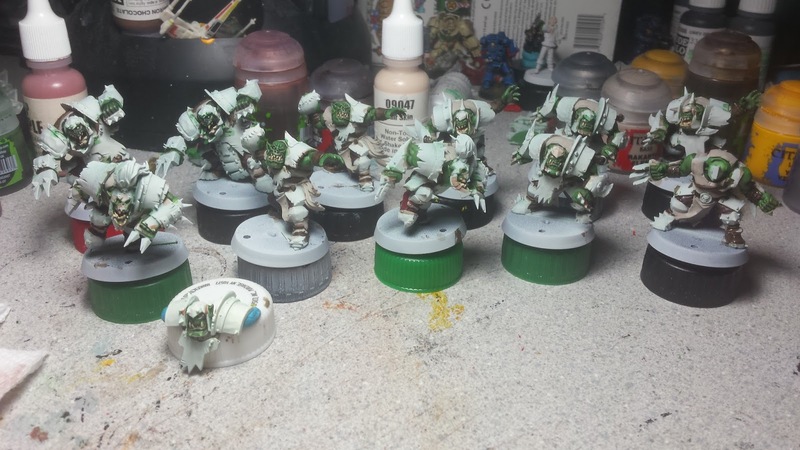 From there I washed it with Biel-Tan Green and then started mixing in Warboss Green into the Rhinox Hide. 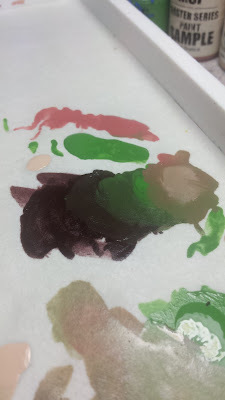 As the green started to show more and more into the skin tone, I started mixing in the pink from the Reaper Master Series sample that I have (I HATE that they don't label their samples). This was painted on the face and knuckles. I then added in some Fair Skin into the mix to give it a bit more highlighting. Once the paint was all dry, I tied it all together a quick wash of Biel-Tan Green. I think it turned out really well and I'm interested to see it against the yellow of the finished armor plating. I was hoping to get the Orc team finished and game ready for this week's game day on Sunday, but it's Saturday now and I'm not sure about it. It may be possible, if I work all night on them.